Step It Up with Support for the Apple Watch Series 4 is coming soon. 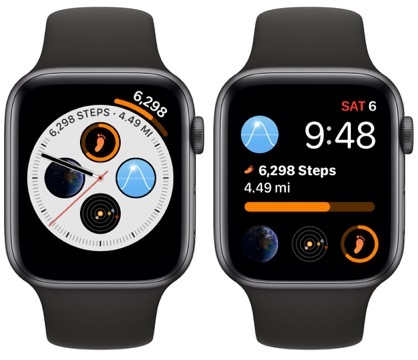 Step It Up will support the new infograph watch faces introduced in the new Apple Watch last month. I’ve attached screenshots of the new all of the new complications available. I think the new Infograph complications are a really great touch to the new watches and really show off some of the best features available in Step It Up. If you’d interested in beta testing the new faces on your new Apple Watch Series 4 you can do so here on TestFlight. Keep an eye out in the coming week or two with the general public beta.